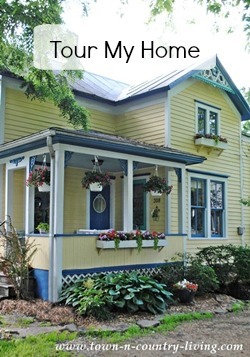 Today’s homes are typically built with ample storage, but if you live in an older home like me, you frequently find yourself yearning for more places to put your belongings. Why not add storage with an armoire that looks beautiful while keeping your things tucked away neat and tidy? Here’s a few gorgeous amoires I found over at Houzz to give you ideas for pretty storage in any room of your house. The advantage of using an armoire for storage in your home is that it looks more beautiful and impressive than any closet door. At least, in my humble opinion it does. This one takes center stage on the wall. 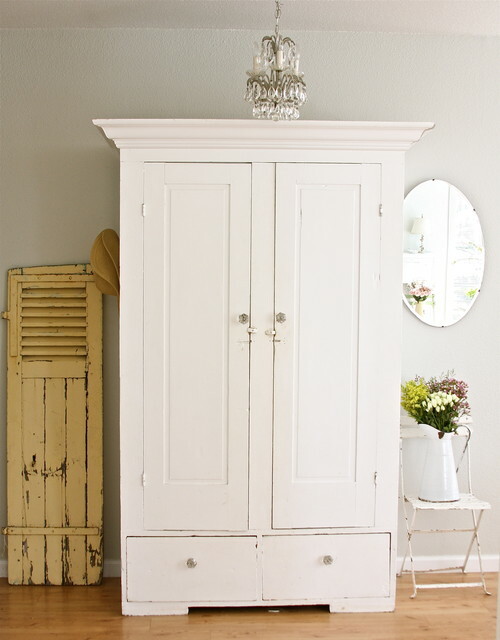 Even when tucked in the corner of a room, an armoire can still steal the show! An armoire like this can store your television, hold board games for the family, and store toys in the lower section for small children. 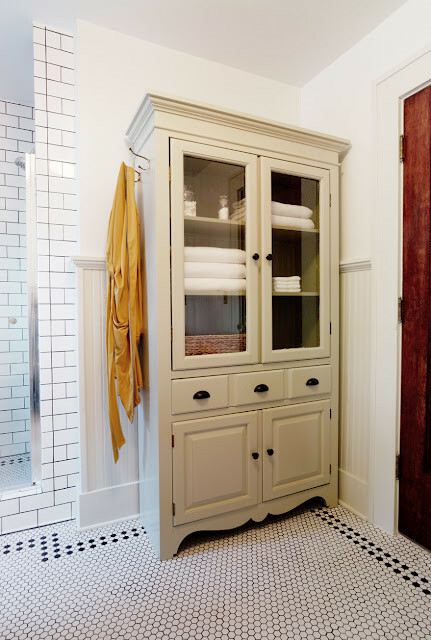 Use an armoire in the bathroom to hold linens and toiletries. 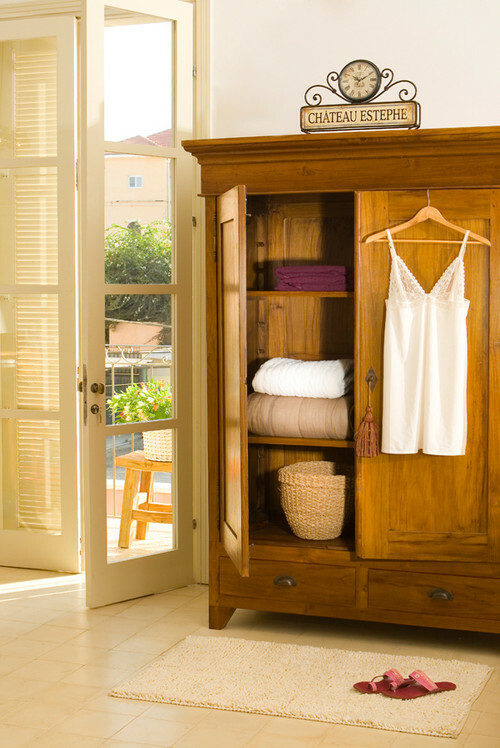 Get more mileage from an armoire with the addition of hooks on the side to catch robes and towels when not in use. 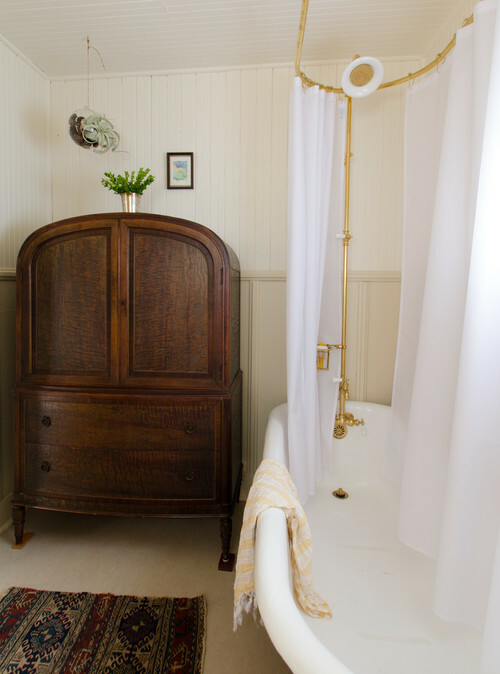 A vintage armoire is the perfect fit in this farmhouse style bathroom with claw foot tub. It just takes a little looking around to find the right armoire for your home’s style. Don’t discount an armoire if the wood isn’t in the best condition. You can always give it a coat of paint to breath new life into it. This white one with long doors can be used in a bedroom to hold clothes. 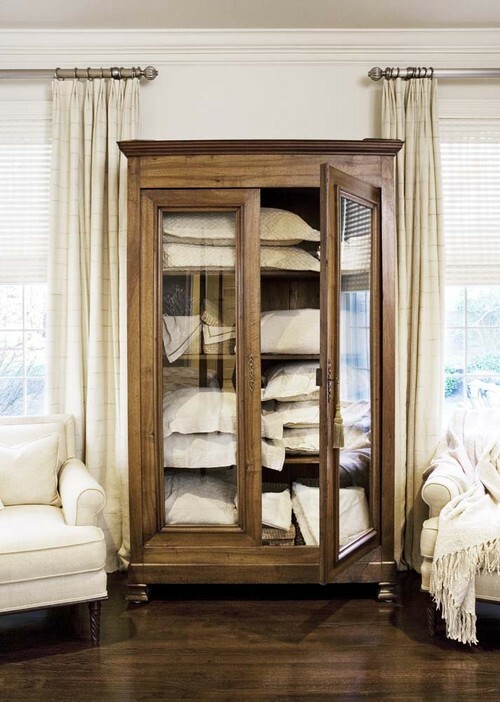 Use an armoire in a guest bedroom to store extra linens. The glass front doors allow you to showcase your best linens that are reserved for friends and family who come to visit. On the other hand … if you don’t want to stress over having everything perfectly folded behind glass doors, simply opt for a solid armoire like this beauty in a honeyed wood tone. Is your armoire lacking in height? Mount it atop a sturdy bench! 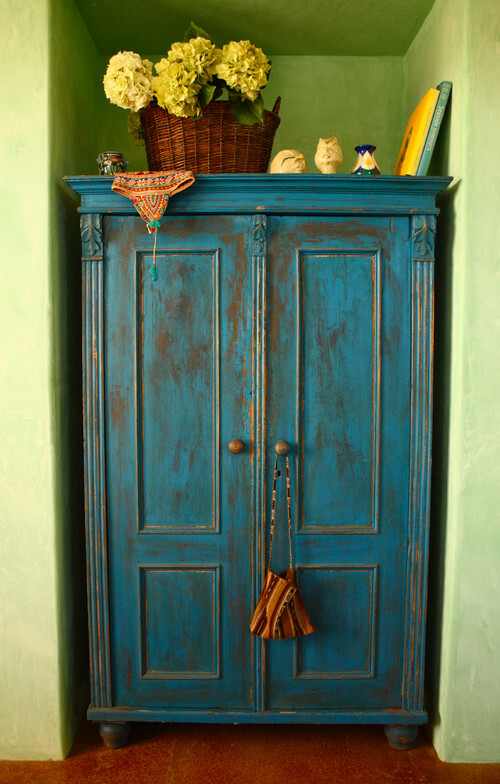 This primitive armoire greets guests at the front door, ready to receive coats behind the doors and shoes inside the drawer. Or simply place shoes underneath the bench where they’re out of the way of foot traffic. Got an awkward alcove in your home? Tuck an armoire into it for beautiful storage. Painted armoires like this are especially versatile because you can always repaint them if you decide to change the colors of the room. 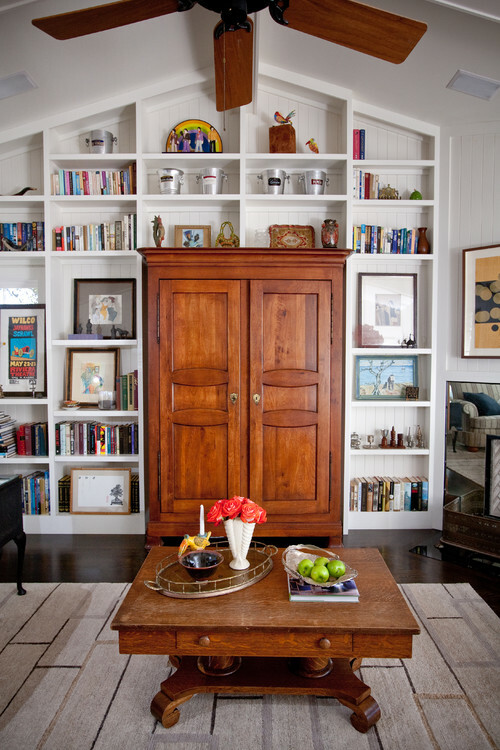 Create a truly custom look in a room by building open shelves around an armoire! I love the warmth of the wood in the midst of the white shelves. 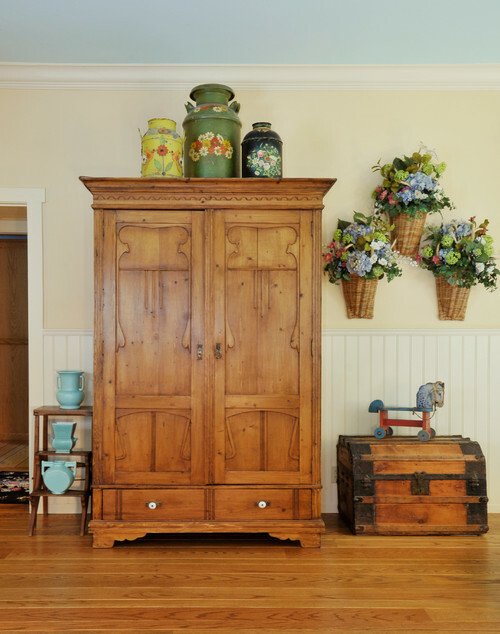 Have you used armoires in your own home for storage? Perfect timing on this post, I’m looking for an armoire for my master bedroom! We are moving from a 70s raised ranch with an amazing amount of closet space ( the ppl who built it put in so many great big closets!) to a 97 “farmhouse” with a lot less closet space….I love the house so much I knew I could figure something out! So now it’s on to a serious hunt for an antique armoire! 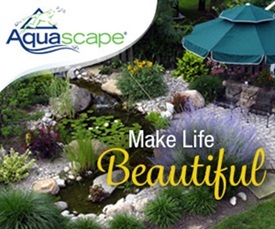 Thanks for the inspiration and great pictures! Such beautiful armoire inspiration. Love them all. I use my armoire in my master for storage and love it. They are also a great item for storing craft supplies in. I just wish I had room in my craft room to put one. I have an old entertainment (TV) armoire that’s been in my garage for almost four years. I plan to paint it and use it as part of my kitchen remodel! 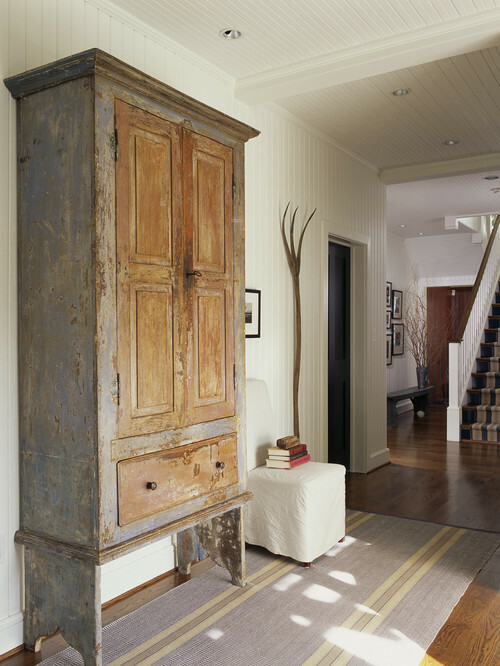 Armoires are such useful and versatile pieces of furniture, whether charmingly old, or new. I hope they never stop making them. I have two, one filled with sewing fabric and the other filled with quilts. I am looking for a third one for the bathroom for towel and linen storage. I guess I just love them! 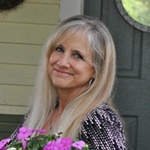 Another blogger I follow recently said armoires are no longer in fashion. At first I was disheartened, but then decided I love my armoire and I have my own decorating style. So, no worries. I gotta admit though, your endorsement of the armoire made me feel better. ???? Shoot, I’m thinking now I’ll buy another armoire for our guest bedroom. Jennifer, I love your article. I have always loved Armoires. I have 4 and I am always on the hunt for another. They have Huge storage and look amazing in any room. Yes, they are what i am looking for, and what a wide assortment. Thanks Jennifer. My favorite part about armories is that they not only provide storage but make such a statement. 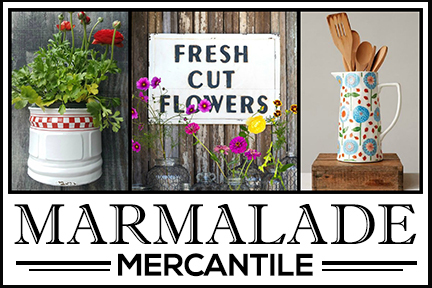 With the myriad styles there is one for any home decor style! I have an old tv armoire that I turned into a wine cabinet, with racks attached to hang wine glasses from, and yummy bottles of wine down below where the tv components used to go. I get so many compliments on it! I go back and forth on whether to paint it, as it is beautiful maple.